Your dive mask is your window to the vast underwater world. To maximise your diving comfort and viewing pleasure of an endless display of fish, coral and other wonders in our seas and oceans we recommend a high quality dive mask. 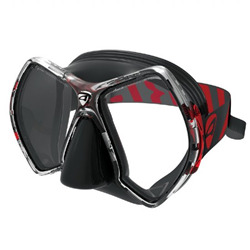 We stock dive masks in wide selection of styles and colour.